Built 1899-1900 by Johann Schwegler. Opened 22 Sep 1900. Used for touring theatre and operetta performances. 1908-1909 converted to a cinema. 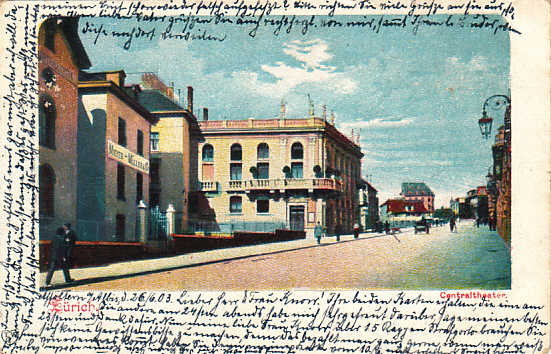 Demolished 1926 in favour of the cinema "Capitol". 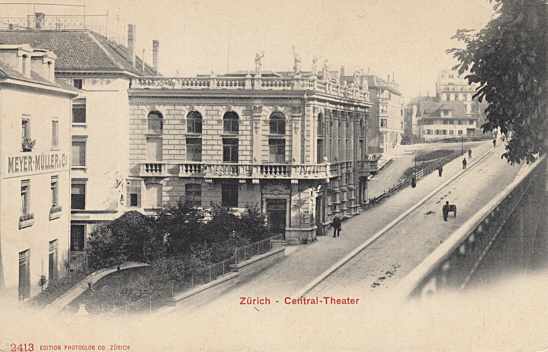 Front Text: "Zürich - Centraltheater"
Front Text: "Zürich - Central-Theater"